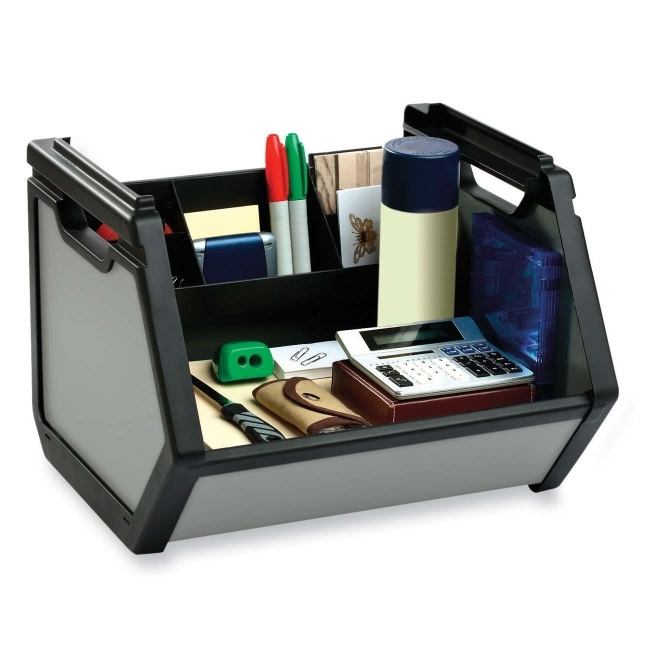 Stackable storage bin accommodates letter-size, hanging file folders and supplies. Detachable, three-compartment organizer helps order smaller supplies. Attach it to the front to make room for hanging file folders or attach it to the back to make room for small envelopes, note pads and other supplies (sold separately). Storage bin is made from a sturdy combination of multi-wall poly and scratch-resistant plastic.